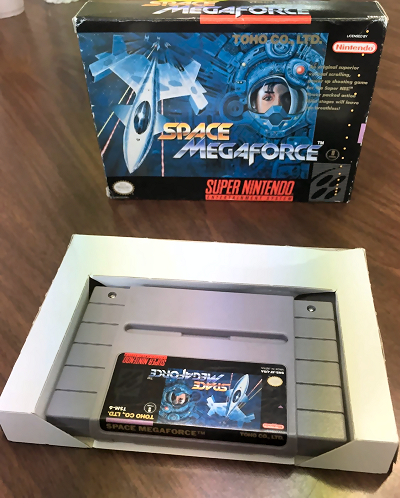 Space Megaforce, the US version of stunning vertically scrolling shmup Super Alleste, is a wonderful and usually expensive rarity for the SNES. It is also on of the finest 16-bit shoot-'em-ups ever and a game one can bid on via this Space Megaforce eBay auction. The games works fine and comes in its box and with the cardboard tray.